When oil and gas fields end production, their facilities need to be removed and disposed of (or recycled), a process known as “decommissioning”. Decommissioning of offshore structures is a highly complex and technical exercise that poses significant health and safety challenges. The process encompasses the planning, approval, implementation, removal and disposal (or re-use) of an offshore structure. In the North Sea alone, around 470 installations will require decommissioning over the next 30 to 40 years. 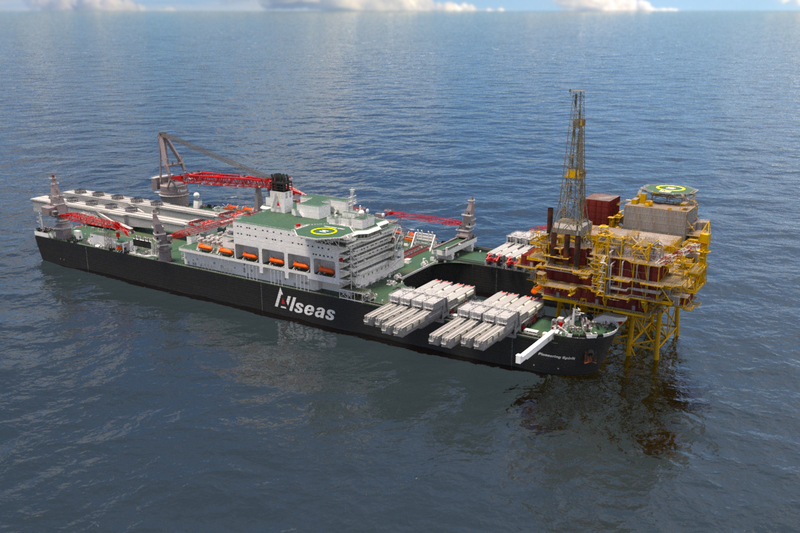 Royal Dutch Shell is leading the way; in February 2015 the company set out plans to decommission the iconic Brent platforms in the oilfield north-east of Shetland – using Allseas’ heavy-lift vessel Pioneering Spirit. Removals began with the 24,000-t Brent Delta topside in 2017. 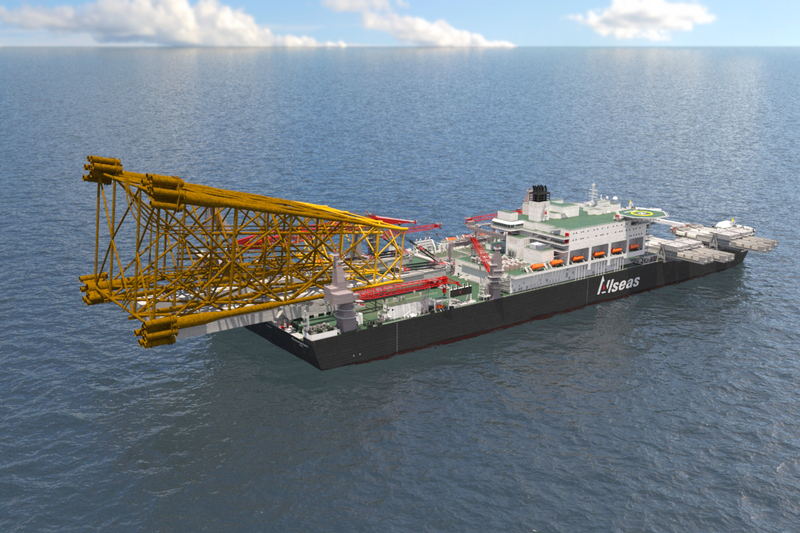 The rent Bravo and Brent Alpha topsides will follow in 2019/2020. Pioneering Spirit set a new world lifting record with the safe and successful removal of Brent Delta on 28 April 2017. The entire lift operation, comprising move in around the platform, yoke connection, de-ballasting and “fast lift”, took just 12 hours. 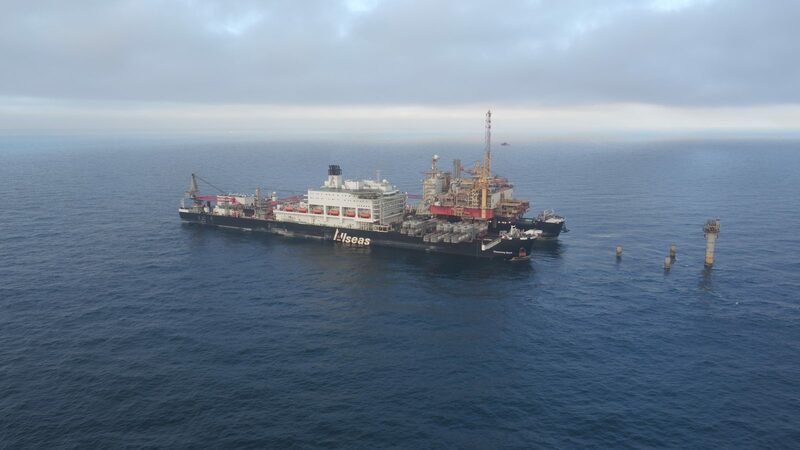 Brent Delta was Allseas' second decommissioning job, following the removal of the Repsol Norge-operated 13,500 t Yme mobile offshore production unit (MOPU) from the Norwegian sector of North Sea in August 2016. 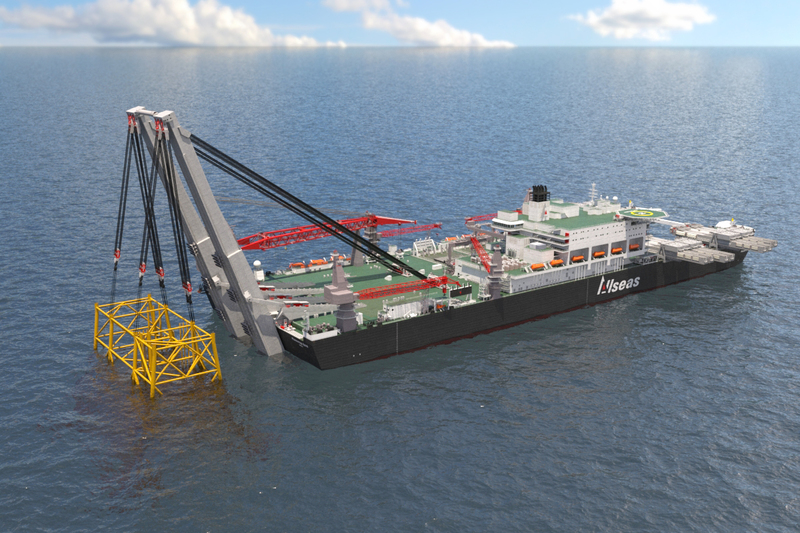 Pioneering Spirit is able to remove entire topsides, up to 48,000 t, in a single lift. Platform removal is executed by lifting the topsides facilities at their natural strong points and bringing them to shore in one piece. 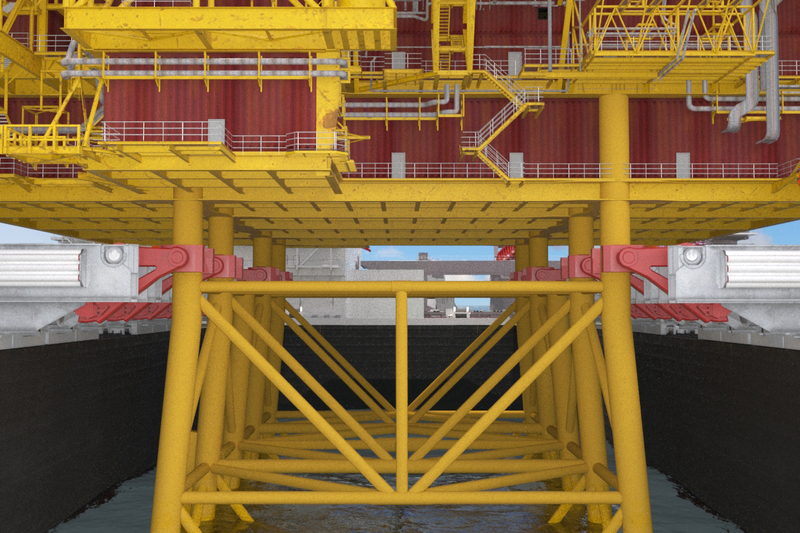 Topsides removal in a single lift will significantly reduce the man-hours spent on offshore cleaning, partitioning, installing lifting points and rigging platform modules. This will considerably reduce health and safety risks. Avoiding offshore cleaning and purging of process facilities will also reduce risk to the environment. Prior to Pioneering Spirit’s arrival for a topsides lift, the topsides legs are cut from the base structure. 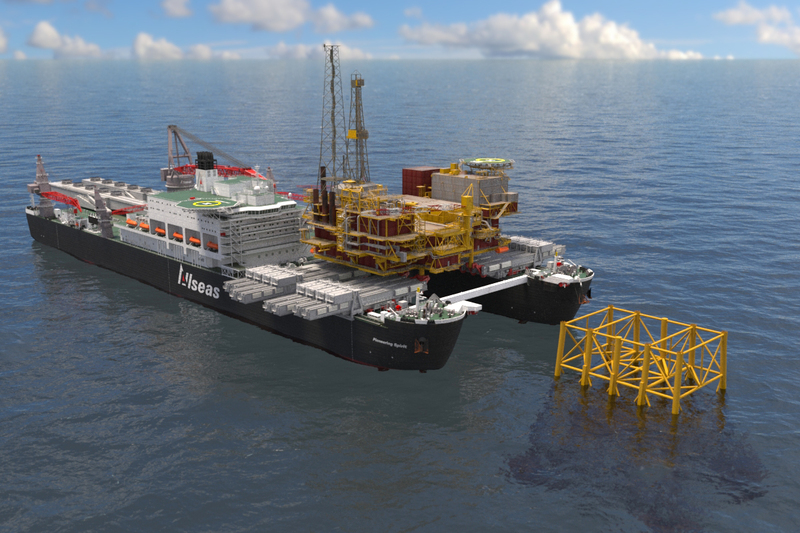 Topsides are lifted by “yokes” or “horseshoes” mounted on the vessel's topsides lift system (TLS) beams. 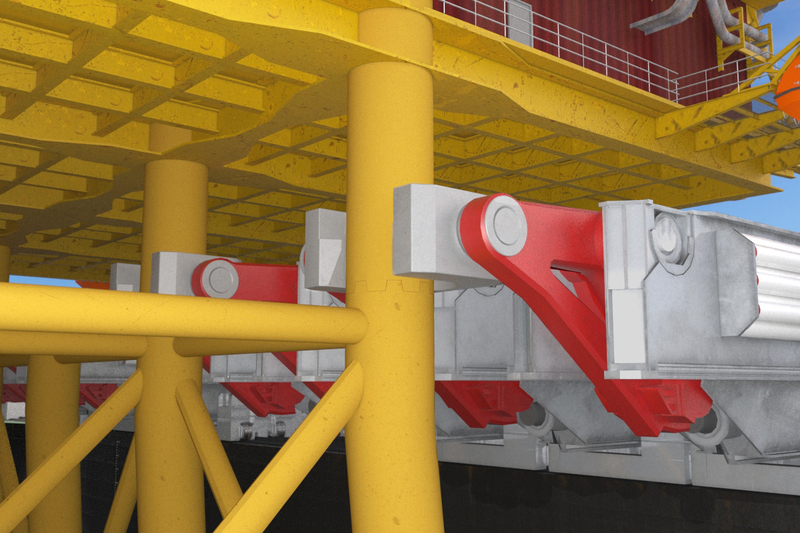 These yokes or horseshoes are previously adjusted to the exact dimensions of the platform legs or the underside of the topsides. The vessel positions itself accurately around the platform base structure operating on dynamic positioning (DP). 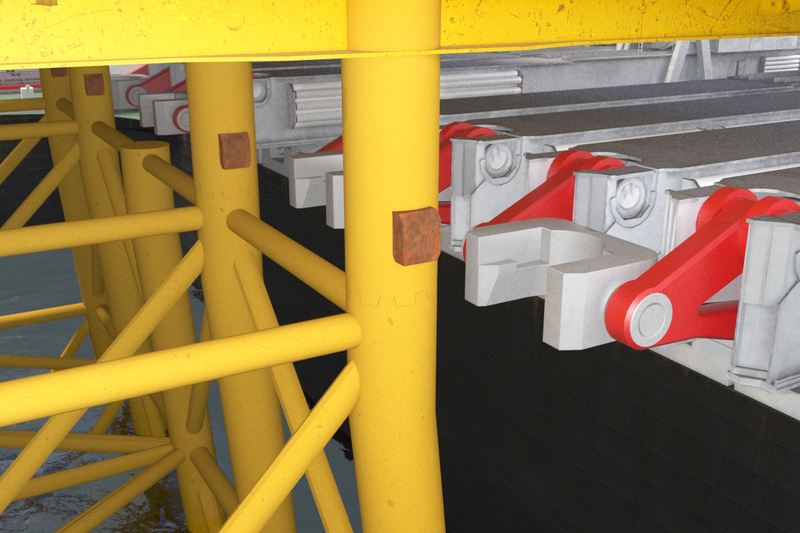 While the vessel itself moves due to wave action, all motions of the yokes or horseshoes relative to the platform are eliminated by engaging the active motion compensation system. 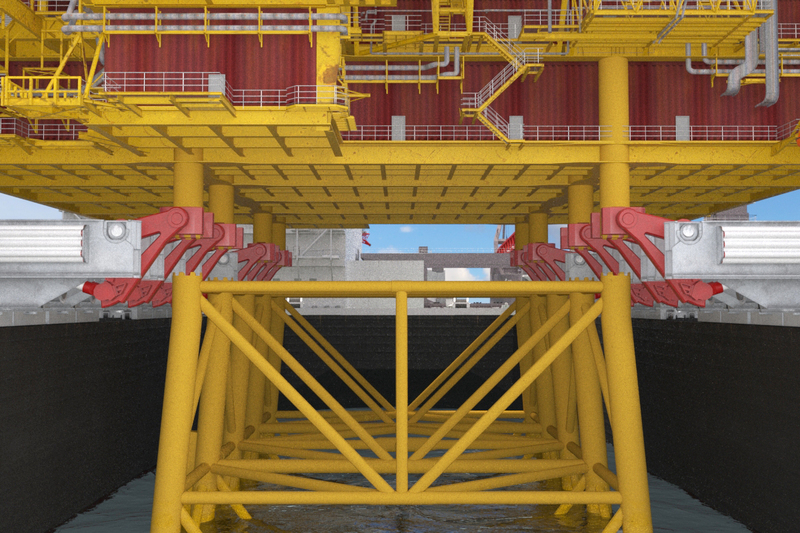 The yokes are carefully positioned under at pre-determined strong points at the underside of the topsides, or the horseshoes around pre-installed lift points on the topsides legs. 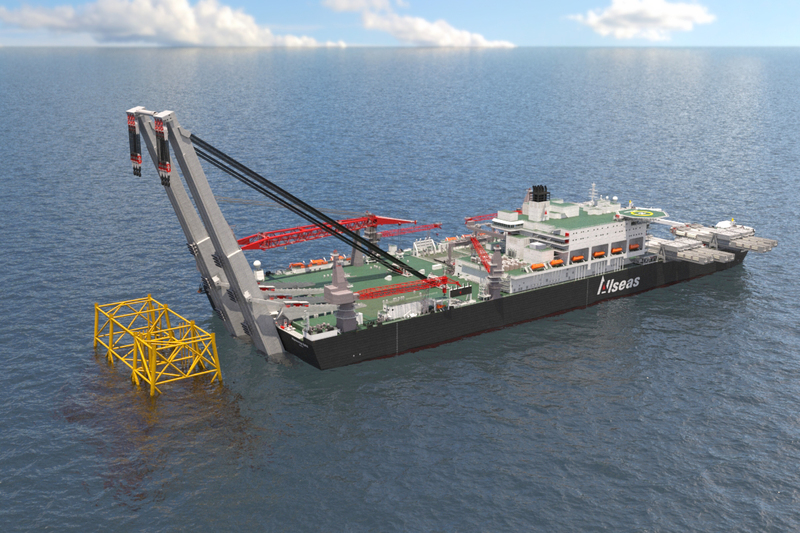 With the yokes or horseshoes connected, pre-tension in the lift system is gradually increased in order to transfer the weight of the topsides from the jacket to the vessel. In the final stage a rapid lift-off, using hydraulic lift cylinders with a maximum stroke of 4.5 m, ensures sufficient clearance and eliminates the risk of re-impact between topsides and substructure during and after the lift. 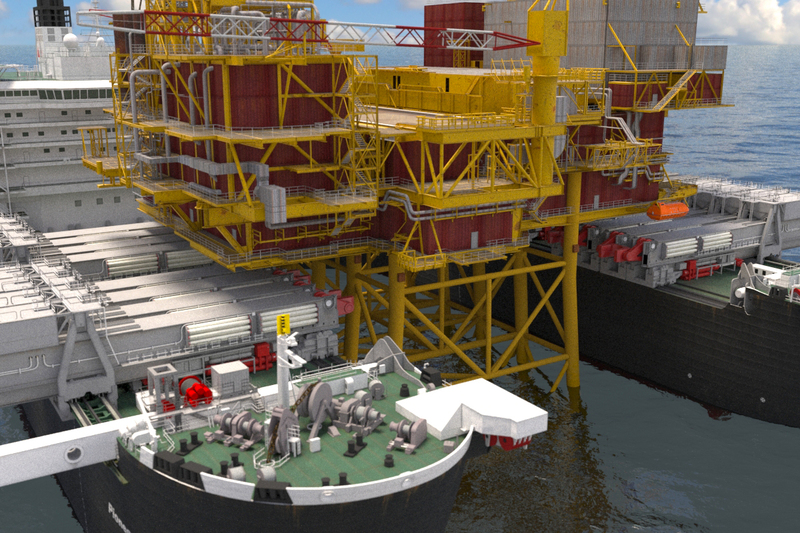 Analysis has shown that in hostile environments such as the North Sea, a motion compensation system is essential on a single-lift vessel to eliminate impact forces on large topsides. In the absence of such a system, local damage can occur even when the wave height is small and vessel motions are very limited. Due to the large motion compensation capacity (both vertical and horizontal) of the topsides lift beams, the dynamic forces introduced in the topsides during the operation are very low, even when the vessel is working in less favourable sea states. When removing large jackets, conventionally they need to be cut up into small sections suitable for crane lifts, requiring lengthy and complex subsea cutting operations. 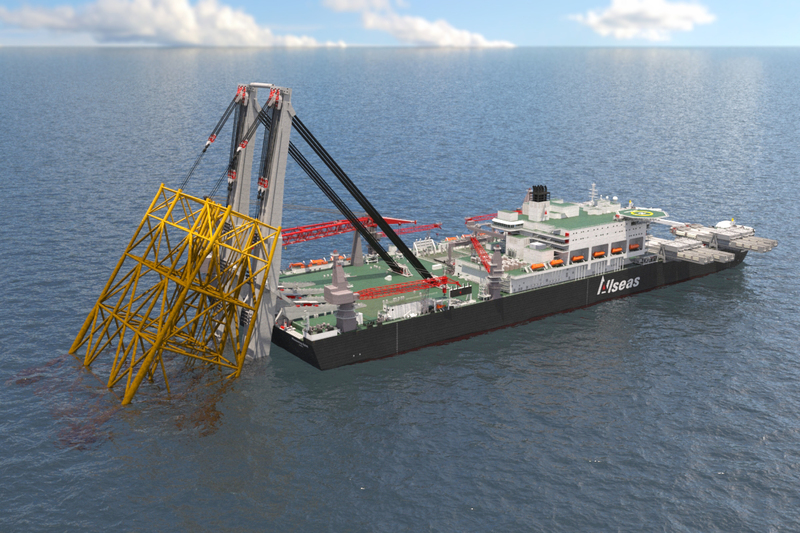 Pioneering Spirit will be able to remove jackets weighing up to 20,000 t in a single lift, thereby limiting subsea work and associated risks. Jackets are lifted over the stern of the vessel. After cuts have been made in the foundation piles at seabed level, or above the pile clusters as required, the main hoist blocks suspended from the jacket lift system beams raise the jacket at the main legs. The jacket is subsequently aligned with the beams, reclined, and skidded further inboard before transit. 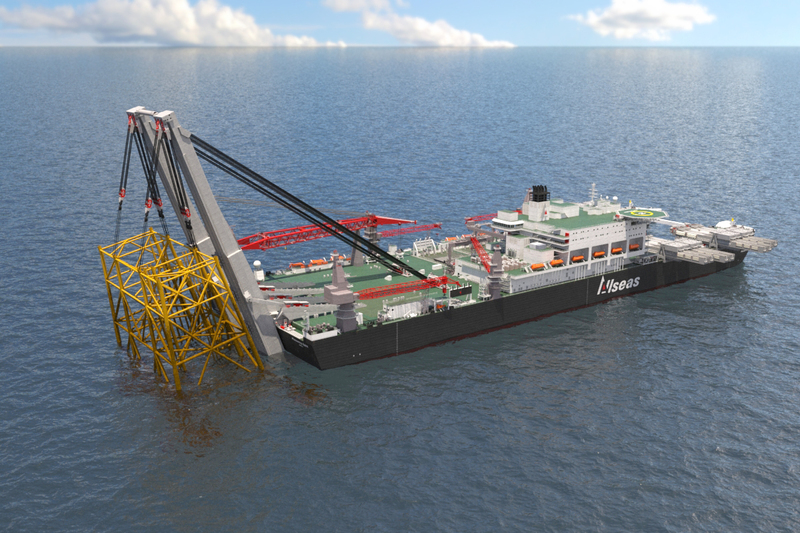 Jacket removal can be performed upon completion of topsides removal, without first requiring the vessel to offload the topsides. 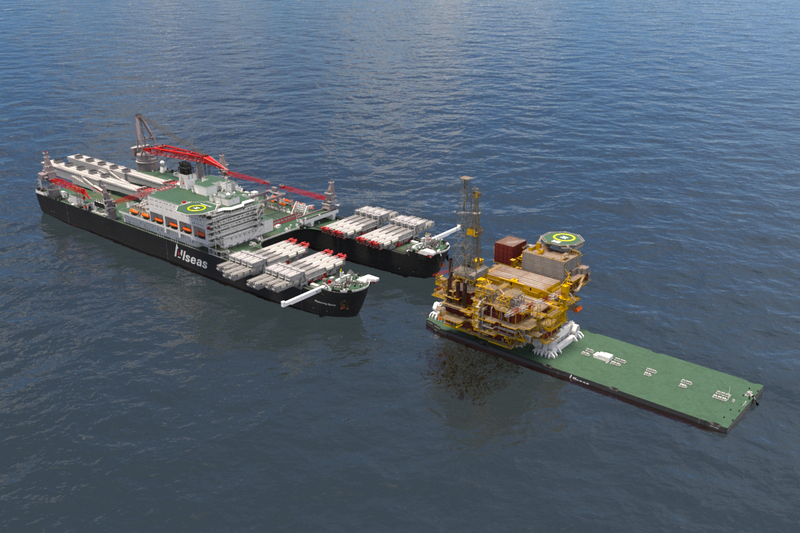 For the transfer of topsides to and from Pioneering Spirit, Allseas uses the 57 m wide, 200 m long cargo barge Iron Lady. 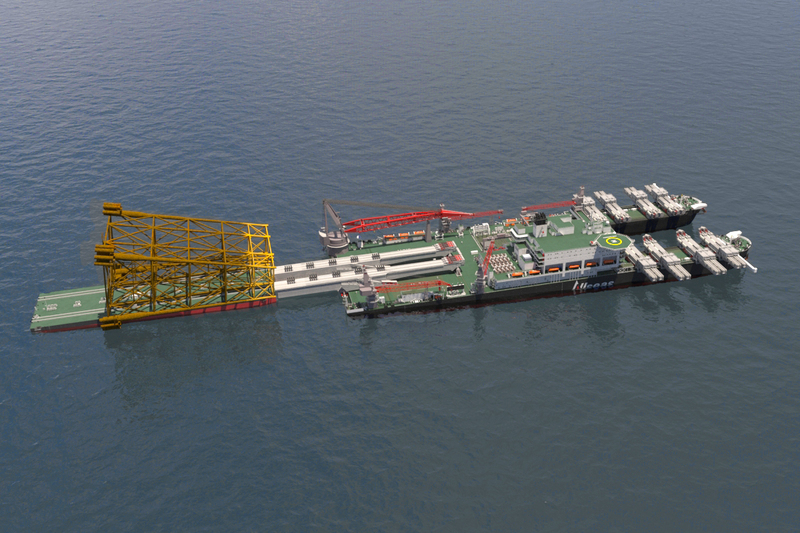 In case the water depth at the quayside is too shallow for Pioneering Spirit, structures are first loaded onto the barge for transfer to and from the yard. 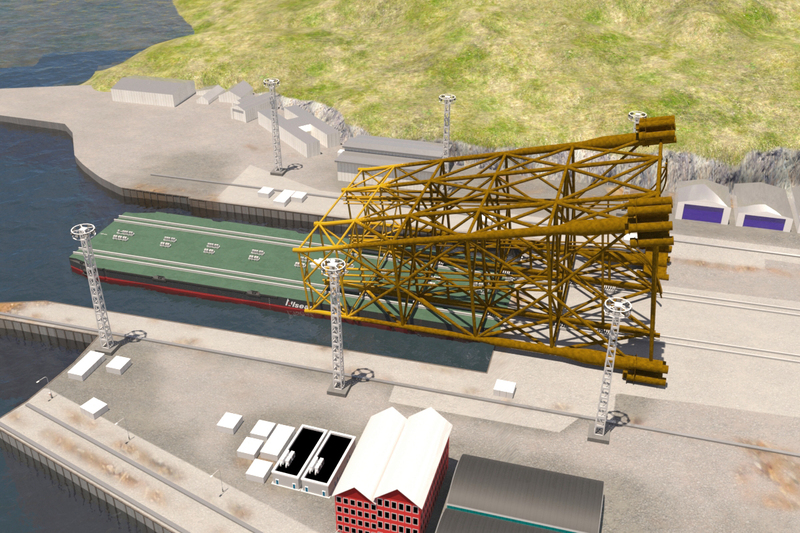 The transfer of structures between Pioneering Spirit and Iron Lady takes place in sheltered waters close to the yard.